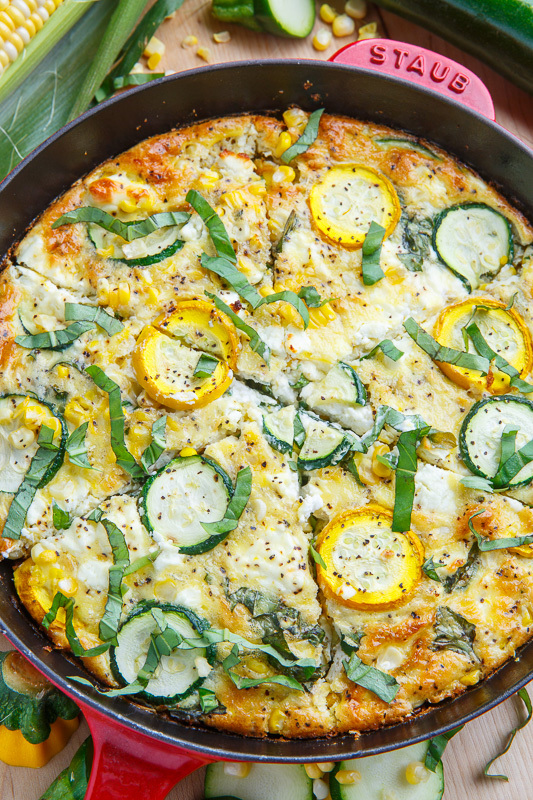 A light, fresh and bright summer corn and zucchini goat cheese quiche with lemon and basil! 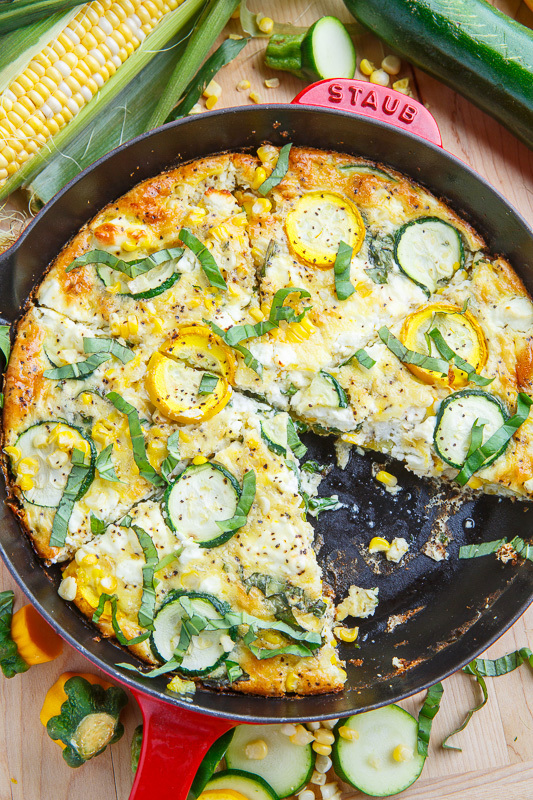 Today I have a new favourite recipe to share with you, a fresh summer-y corn and zucchini goat cheese quiche with lemon and basil! 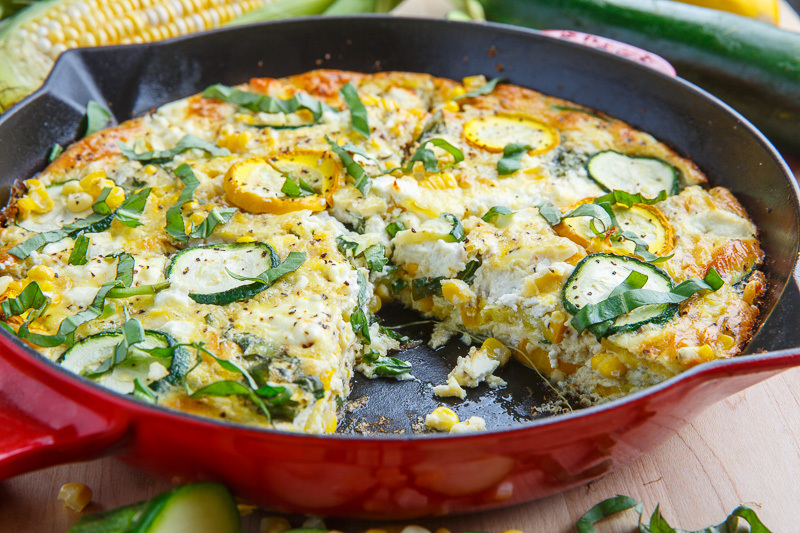 Right now fresh zucchini and corn are in season and in every grocery store so its the perfect opportunity to enjoy them! 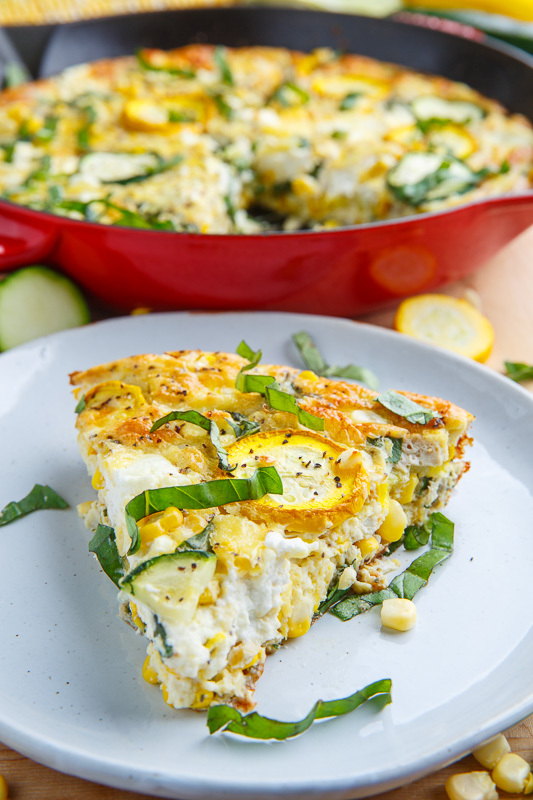 This quiche is super simple to make with a base of eggs and cream along with plenty of goat cheese, zucchini and fresh corn. 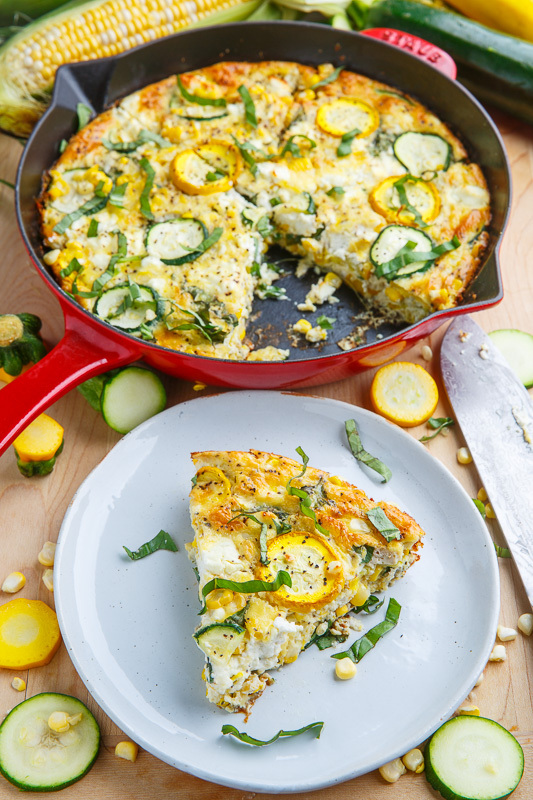 The quiche is amazing like this but I like to add an extra hit of summer freshness with lemon zest and basil! 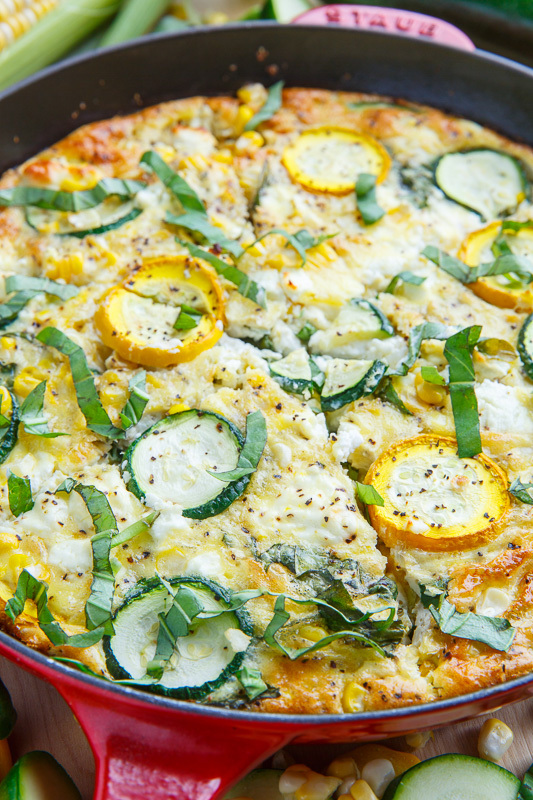 You simply mix all of these ingredients, throw them into a pie plate and bake! I like to make this quiche crustless to keep it nice and light but you can easily throw it into a crispy, light and flaky all butter pie crust. 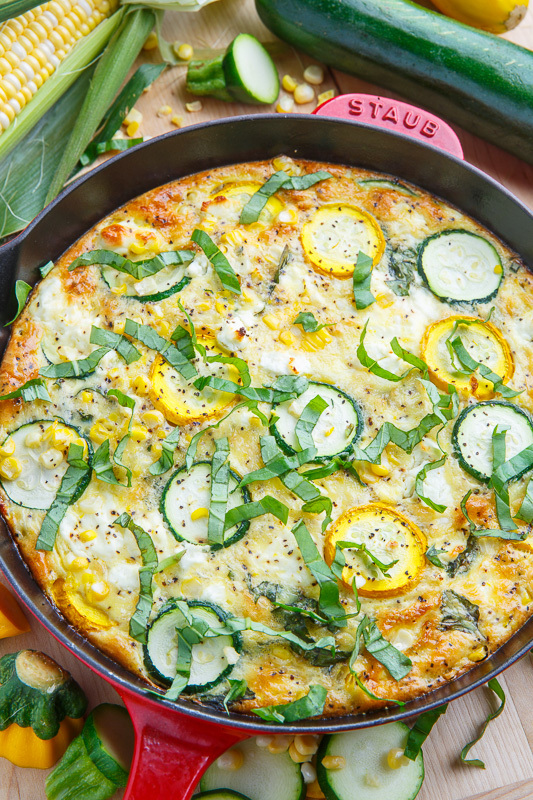 This corn and zucchini goat cheese quiche with lemon and basil just screams summer and it’s a great breakfast, brunch or light dinner for any occasion! Mix everything, pour into a 9 inch pie plate and bake in a preheated 375F/190C oven until lightly golden brown on top and set in the centre, about 25-30 minutes. Going to the store this morning and getting the goat cheese since I have everything else! This is dinner tonight. Thanks Kevin!